Fast, integrated and reliable EFTPOS for your business. 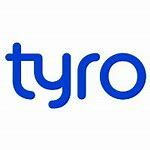 Tyro are shaking up the business banking world, with smart technology that could save you time and money. Disclosure: This page may contain affiliate links. This means we receive a commission if you make a purchase using this link or promo code. We only recommend products or services we use personally and believe will add value to our community. 0 responses on "Merchant Services"